Drakenstein Stud’s exciting young sire, and South Africa’s Leading First Crop Sire of 2016-2017, What A Winter confirmed his status as one of the hottest young stallions around when his progeny scored a memorable feature race double at Kenilworth on Saturday. First to score was the Rex Stud bred Dutch Philip, who took his tally to three wins from just four outings when successful in the Listed Somerset 1200m. It was an impressive display from the colt (who had been his sire’s very first winner), with Dutch Philip defying top-weight of 60kgs to post a convincing 1 length success in a race whose past winners include current sire sensation Gimmethegreenlight. Dutch Philip, now likely to be aimed at the G3 Cape Nursery, has now won three of just four outings and looks destined for better things. What A Winter’s daughter Magical Wonderland (whose breeders’ Maine Chance Farm enjoyed a spectacular weekend) maintained her unbeaten record when landing the Listed Perfect Promise Sprint, with another What A Winter filly, Nanna Anna, back in fourth. Having won first time out by 2.25 lengths over 1000m, Magical Wonderland took the step up in class in her stride and went on to post a comfortable one length win over debut winner Too Phat To Fly. The filly, who had beaten the highly rated Miss Frankel first time out, was a R450 000 purchase from last year’s Cape Premier Yearling Sale. Both winners are trained by Candice Bass-Robinson, and both are owned by Mayfair Speculators in partnership with Marsh Shirtliff and Bryn Ressell. What A Winter has now been represented by three first crop stakes winners to date, with his first black type winner coming in the form of Listed East Cape Nursery winner Fort Winter. To date, What A Winter has been represented by six first crop winners and he is well clear on the First Crop Sires List to date. 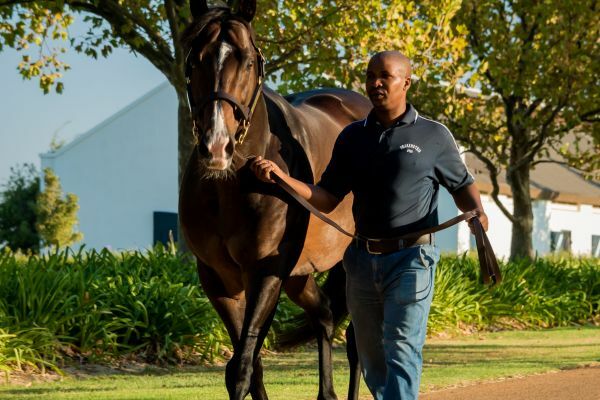 The triple Equus Champion, and four time G1 winner, has once again been in great demand in the sales ring this year, with his progeny fetching up to R2.8 million in 2017.